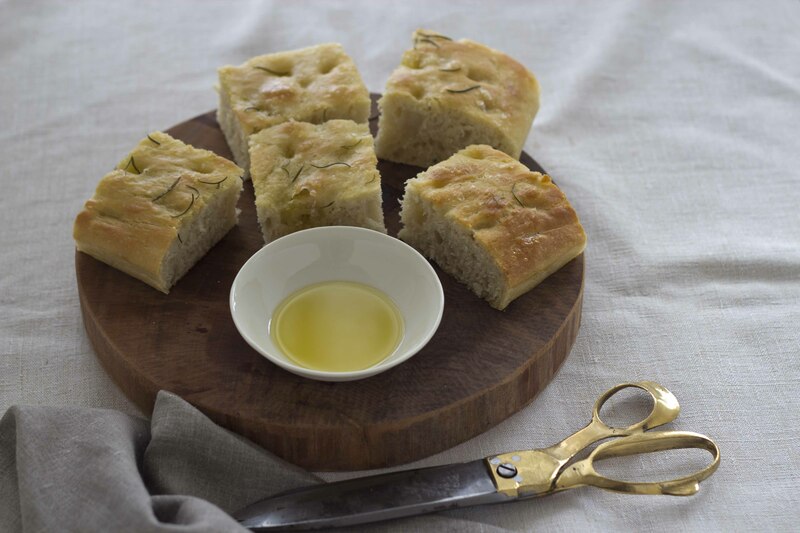 Focaccia is the signature bread of Liguria and is enjoyed as a starter, an accompaniment to a meal or as a snack. 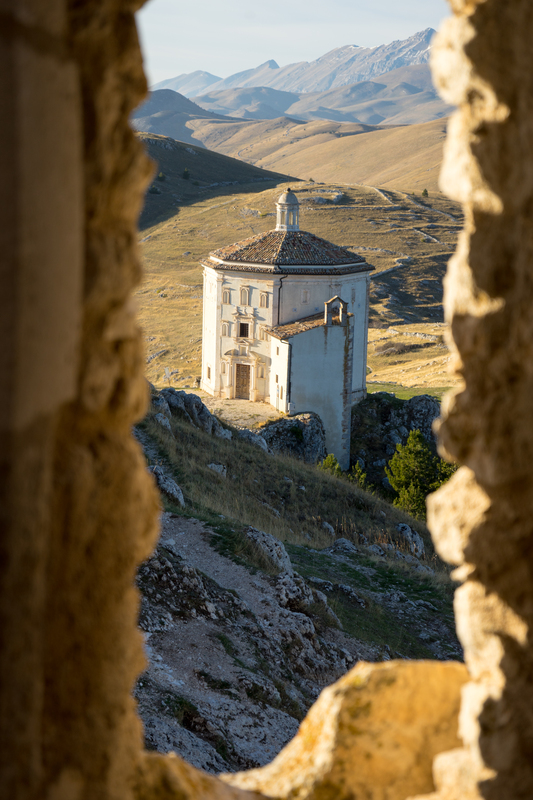 The trick to making a soft, fluffy focaccia like those served in bakeries across Liguria and cut to order with scissors, is (surprisingly) replacing some of the flour with a bit of instant mashed potatoes (fiocchi di patate), brushing water on the dough and maintaining steam in the oven. 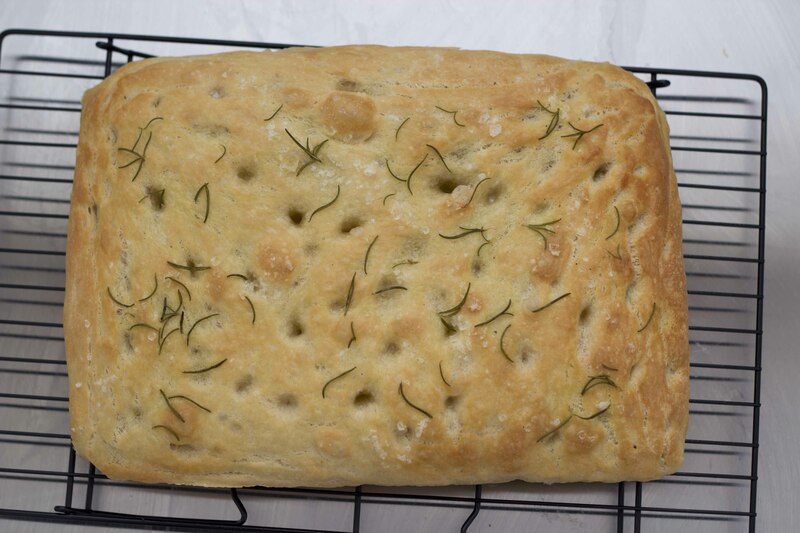 This recipe uses biga to give the focaccia a greater depth of flavour. This requires some advance preparation. If you are reading the recipe the day you want to make the focaccia then see the notes below. 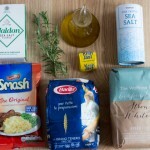 Focaccia can be simply flavoured with extra-virgin olive oil or topped with onions, tomatoes, herbs, potatoes or olives. 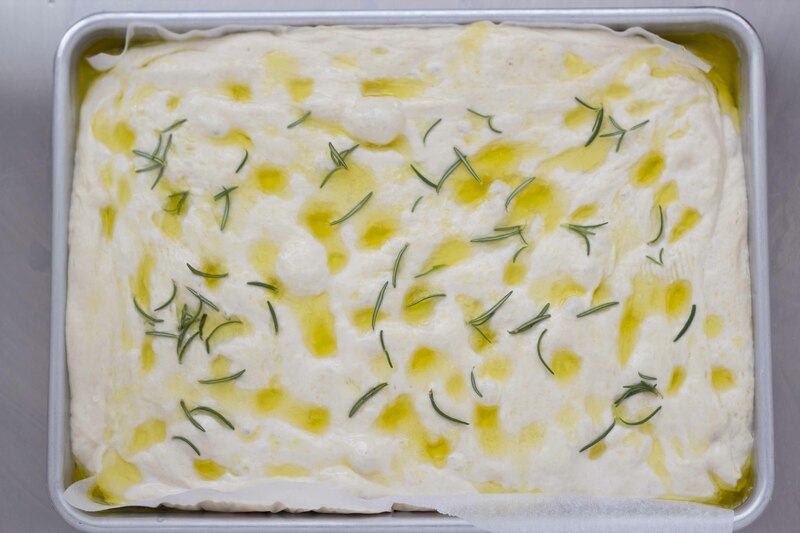 The night before you want to make focaccia, make the biga and place in a sealed container in the refrigerator. 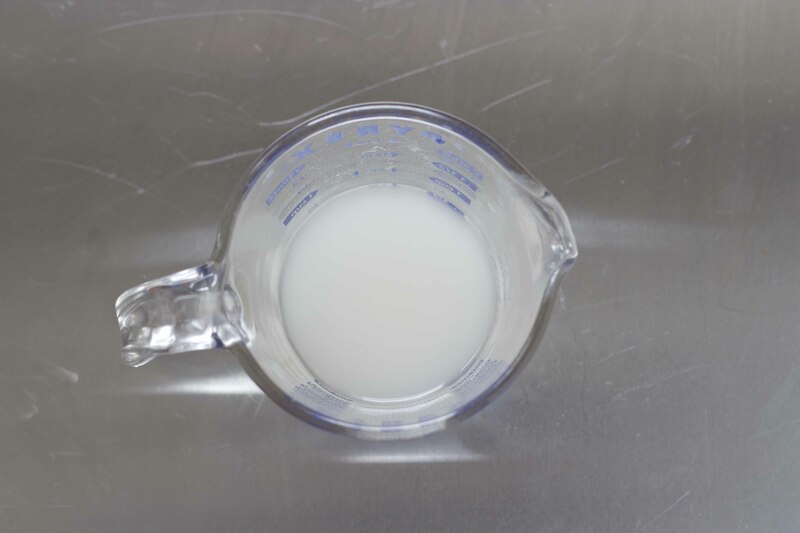 In a measuring cup, mix warm water (ideally 37˚C) with the yeast and let it sit for 10 minutes. 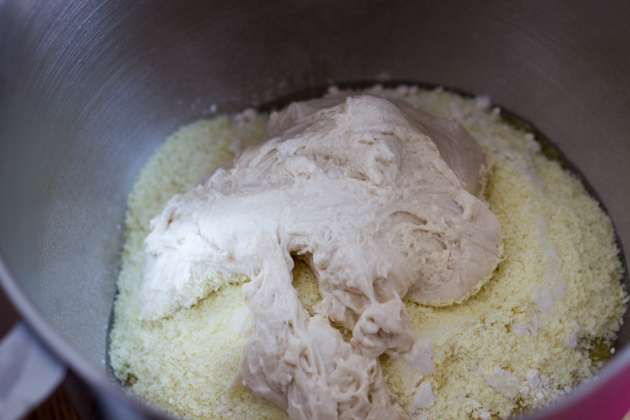 Mix together the flour, instant mashed potatoes, the biga and the salt. 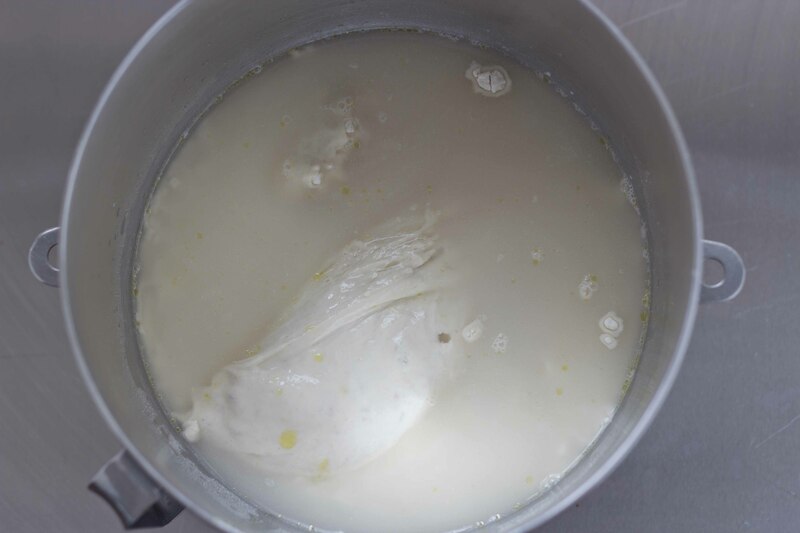 Add the warm water with yeast and 30 mls of olive oil. 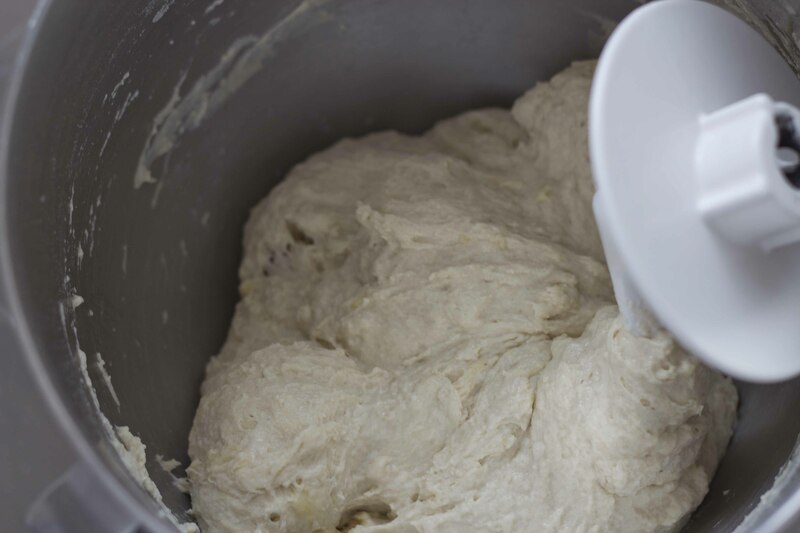 Knead by hand or in a standing mixer with the dough hook attachment for 3 minutes on low speed. 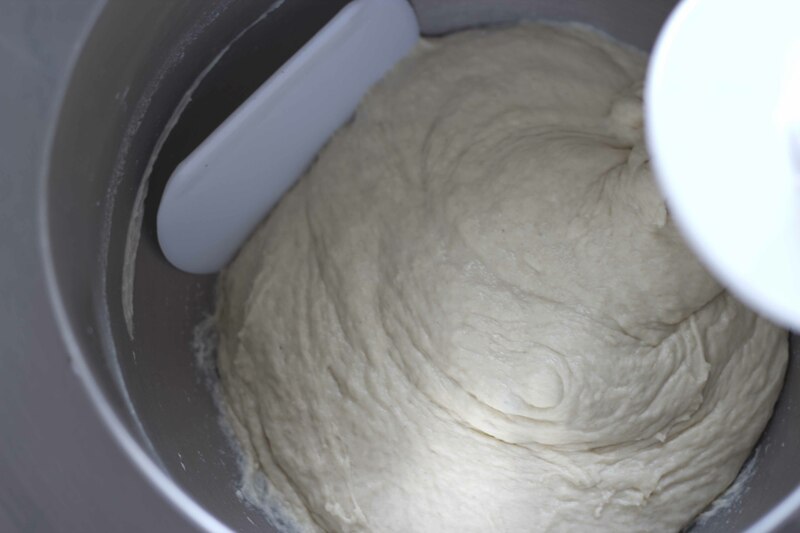 If you are using a standing mixer then mix until the dough no longer sticks to the bowl while the machine is on. 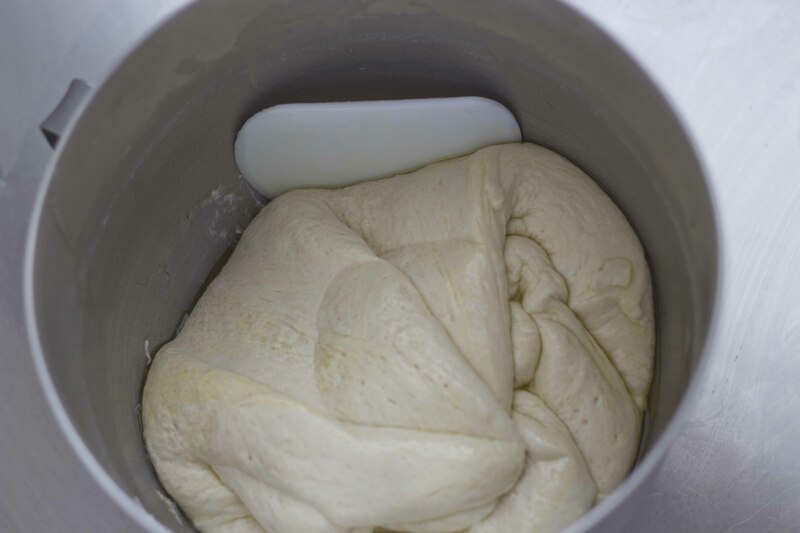 Cover with cling film and let the dough sit for 20 minutes. The dough is ready when you can spread it between your fingers to form a thin “window” and it does not break. 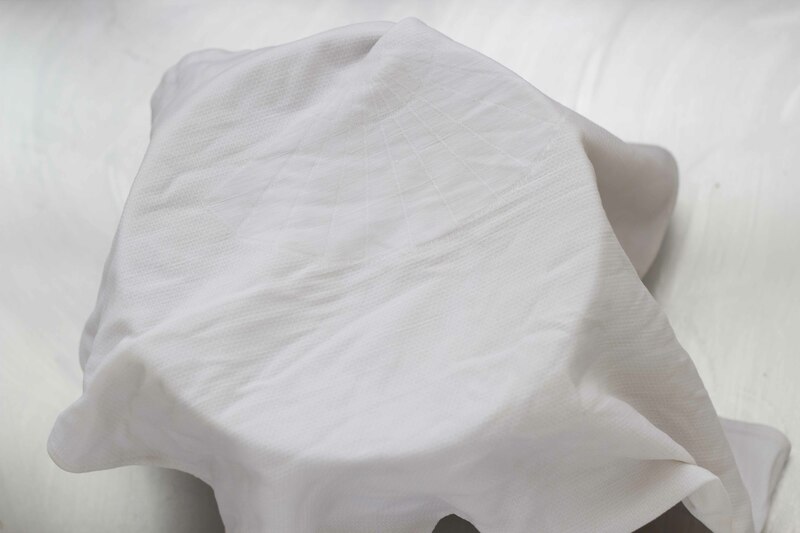 Using a dough scraper (the dough will be very soft and sticky) to fold one side of the dough over the other, turn the bowl 90 degrees and repeat. Keep repeating until all four sides have been folded over. 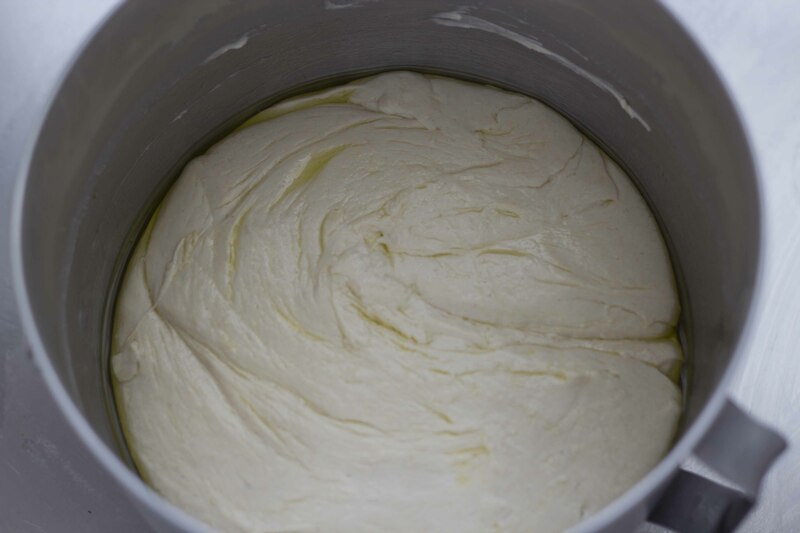 Pour over 30 mls of olive oil over the dough and flip the dough over in the bowl. 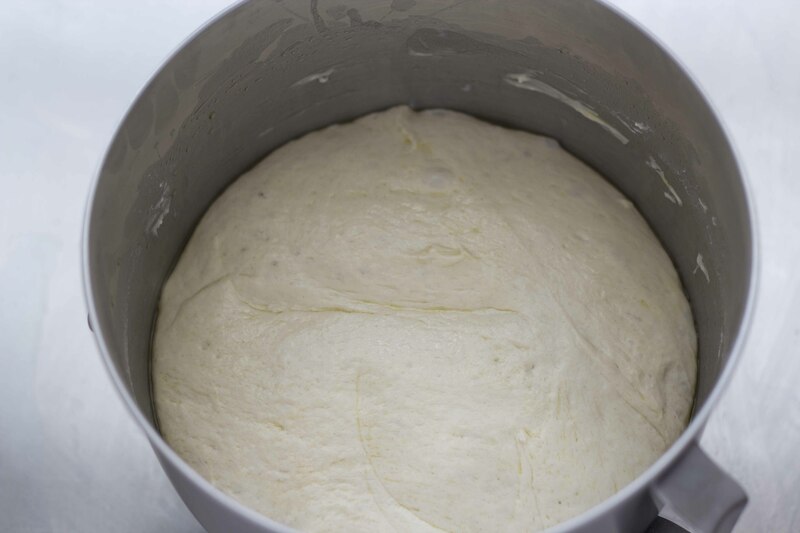 Cover the top with cling film or a damp tea towel and leave the dough to double in size in a warm place for 1 hour. 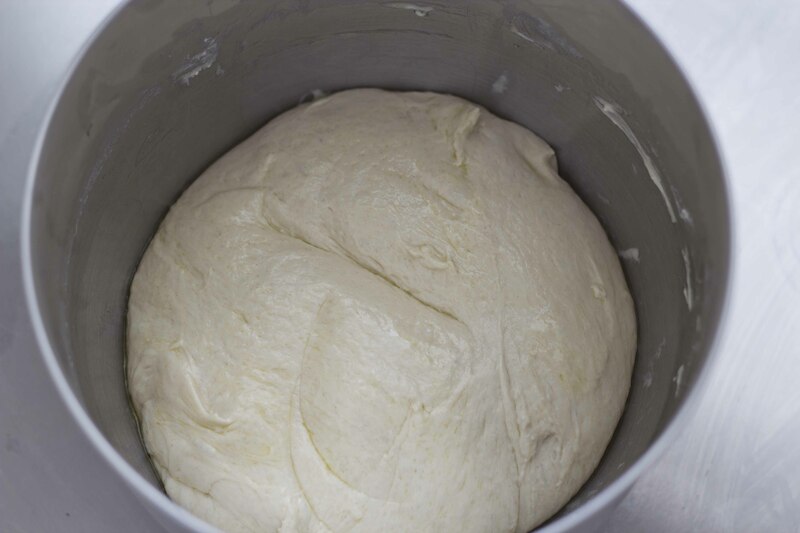 You want a slow rise so make sure the dough is not left in a hot location. 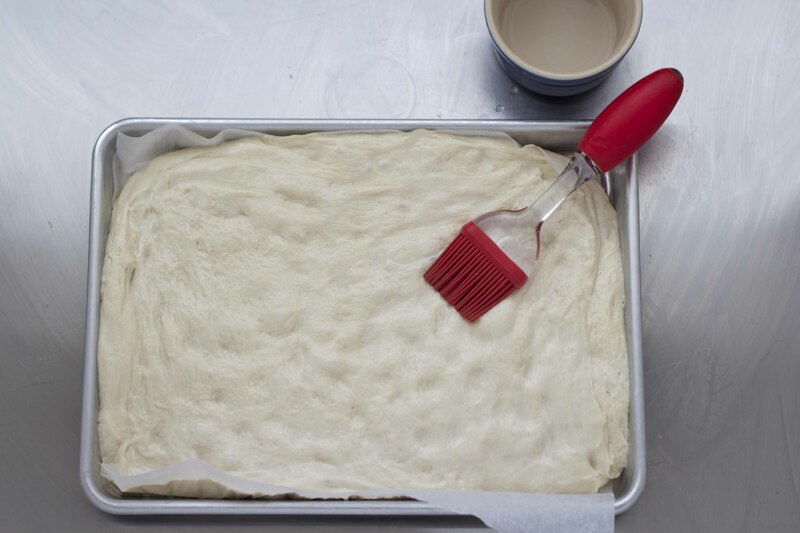 When it has doubled in size, use the dough scraper again, fold in all four sides again. 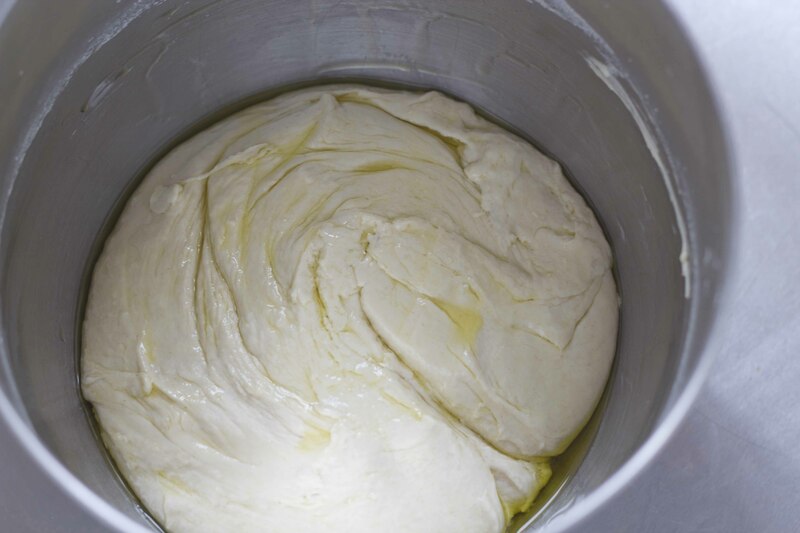 Flip the dough over again. Let it rise again for 1 hour. 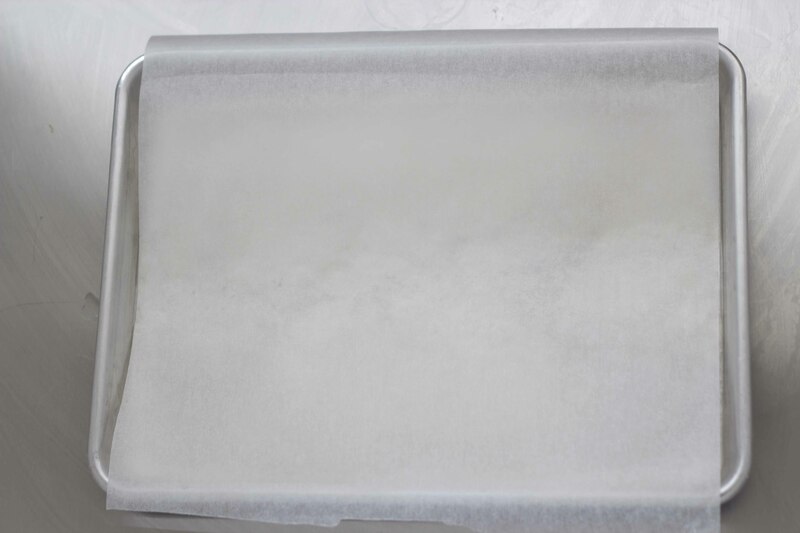 Place paper in a 65 cm x 45 cm sheet pan or two 45 cm x 32.5 cm sheet pans. 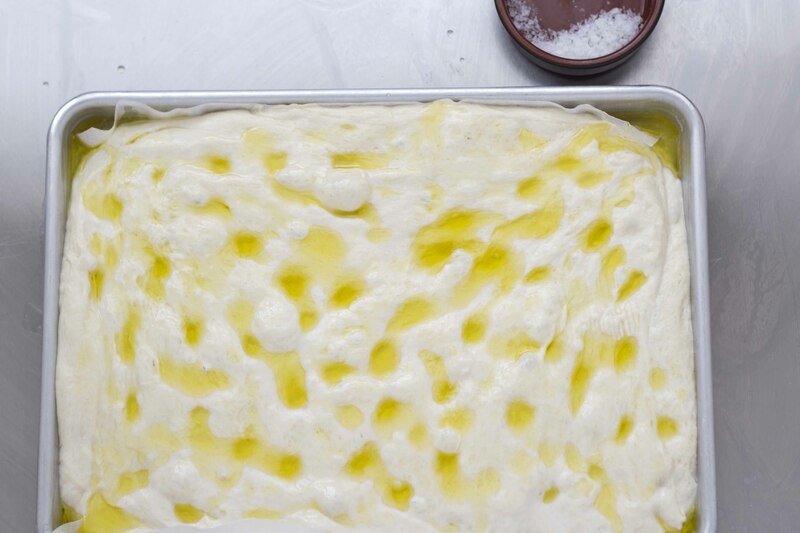 Press the dough into the paper-lined sheet pan with your fingers. Brush generously with 20 mls of cold water. Invert another pan on top and cover with a damp tea towel. Let double in size. 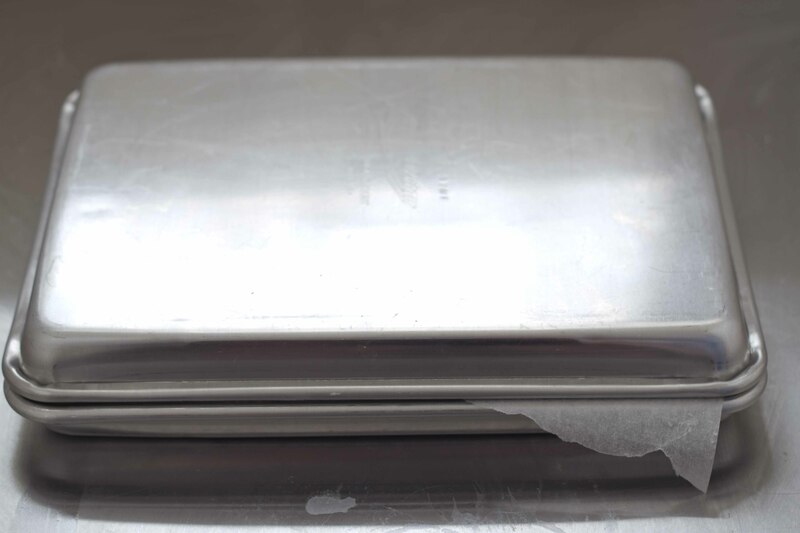 Place a cake tin full of water in the bottom of the oven. In the middle of the oven place either a baking stone or an unside down sheet pan. 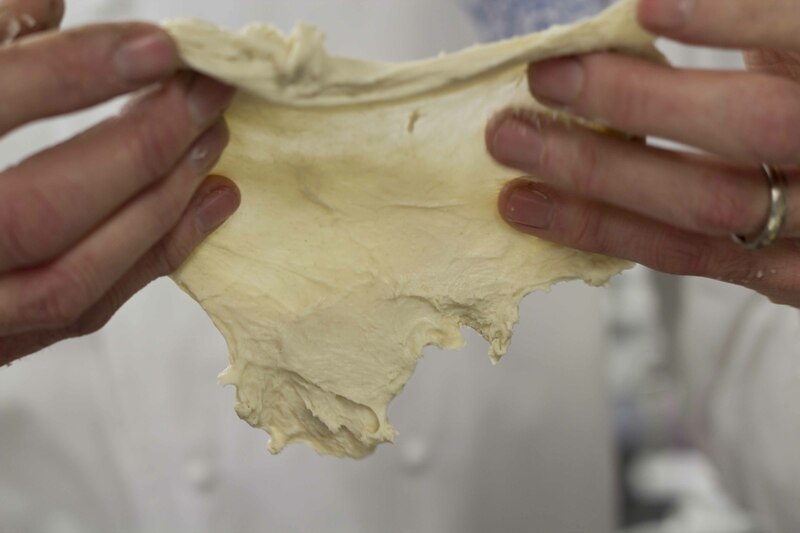 Heat the oven to 180 C.
Use the entire length of your fingers but none of the palm of your hand to press dimples into the focaccia dough, brush generously with 60 ml of olive oil. Sprinkle the rosemary over the top. Place on top of the upside down pan or baking stone in the oven. 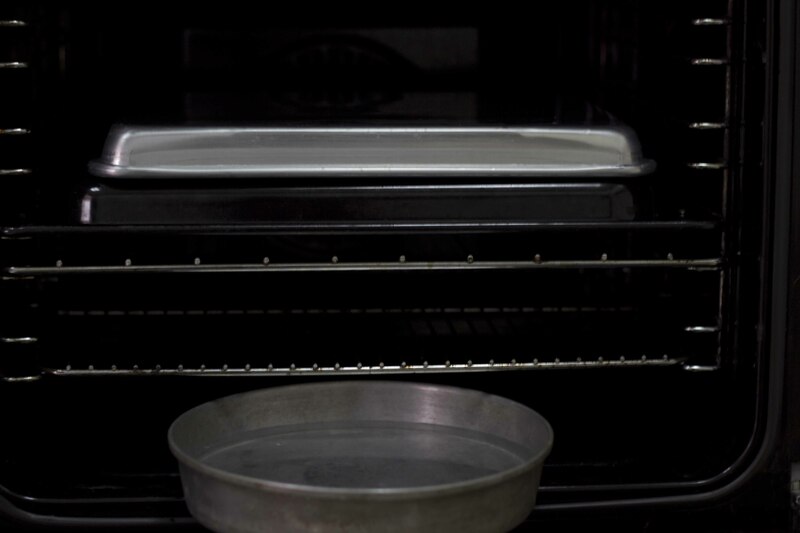 Spray the oven with water. 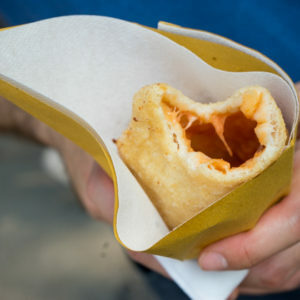 Cook 5 min. Spray the oven again with water and bake for another 15 to 20 minutes.The internal temperature should be 93C (200F) when done. 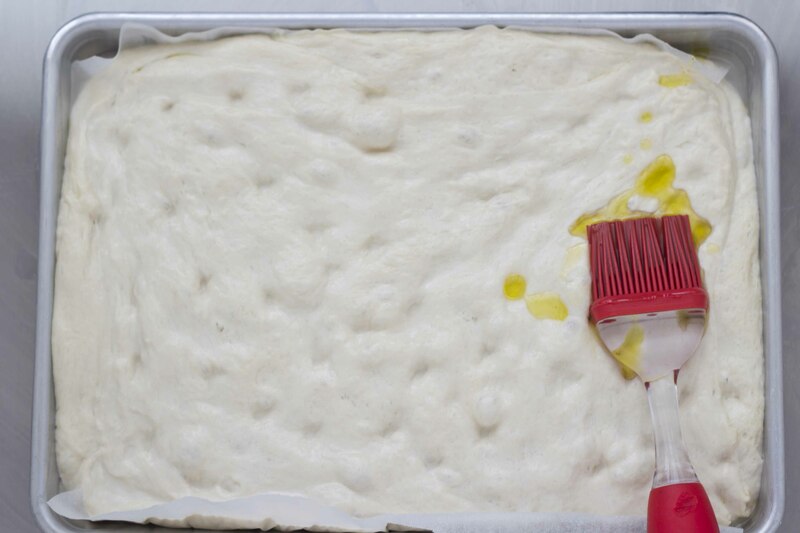 Remove the focaccia from the oven and immediately remove from pan and paper and place on a wire rack to cool. 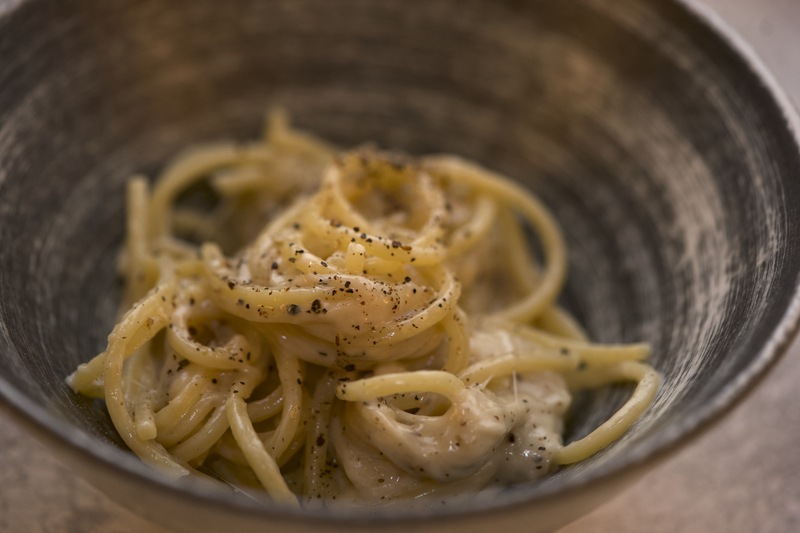 Brush again with remaining 80 mls of olive oil. 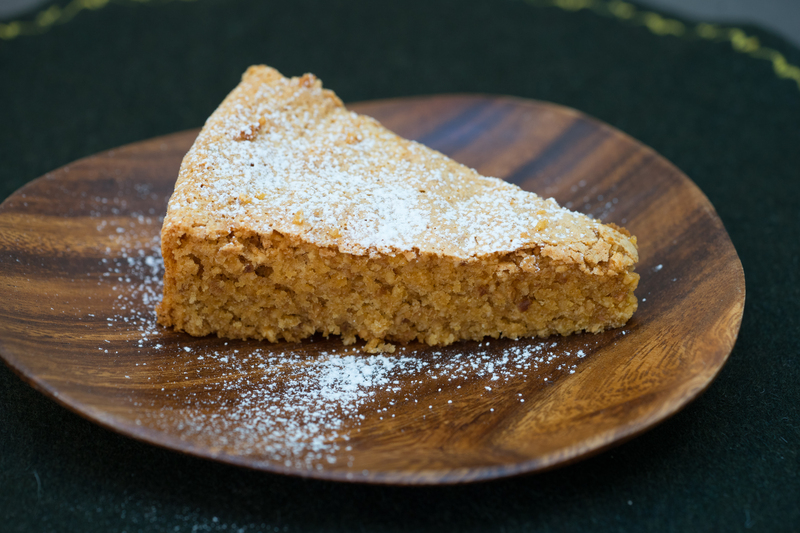 Let cool before cutting with a serrated knife or scissors. 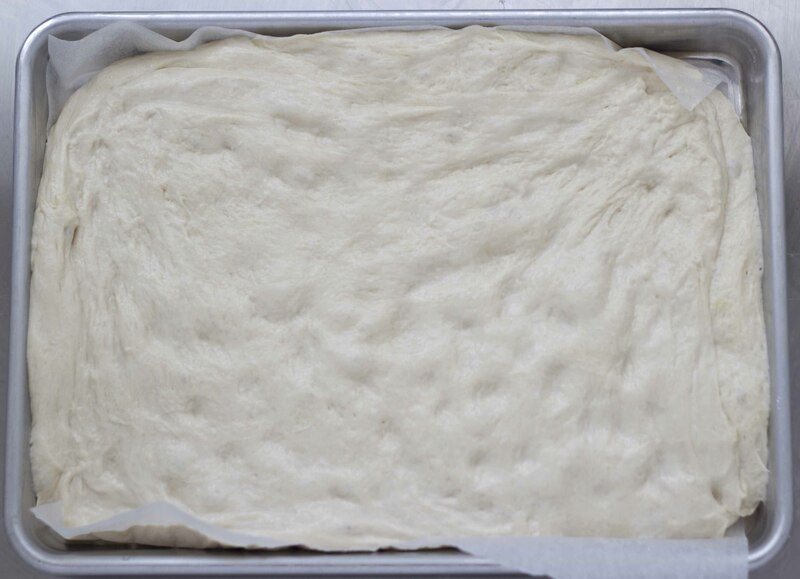 To make the focaccia the same day without the use of the biga, add 2 grams more of fresh yeast (or 1 gram more of dry yeast) to step 2. Then add an extra 65 mls of cold water and 135 gms 00 flour in step 3. The total preparation time including waiting for the dough to rise will take 5 hours.